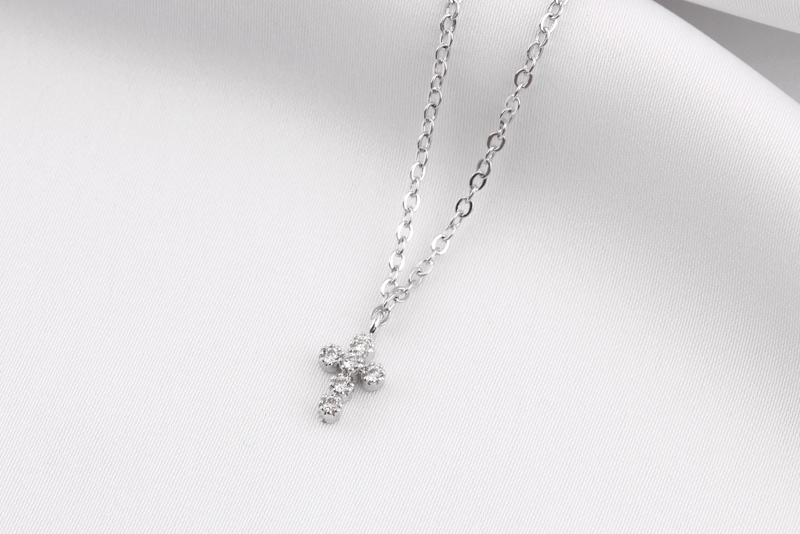 A simple, stunning and elegant cross crystal necklace! 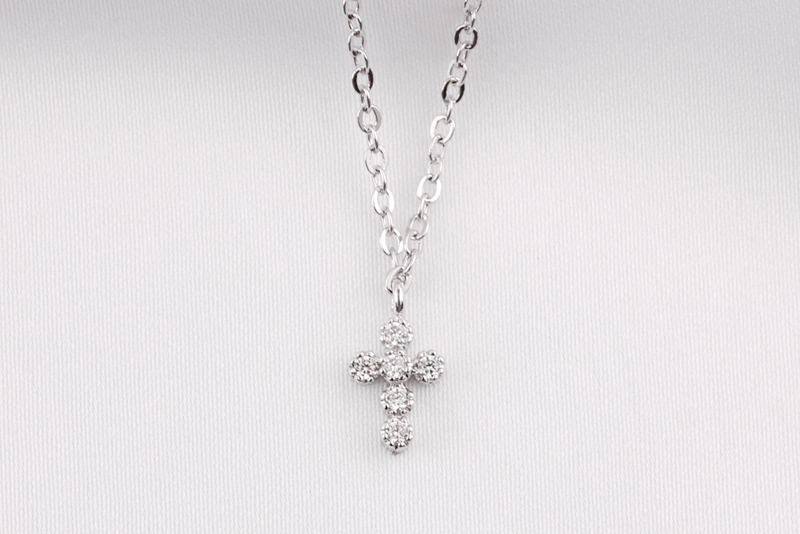 The cross pendant is made of rhodium plated and 6 Cubic Zirconia Crystals. 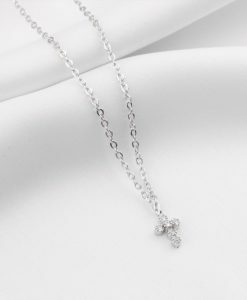 This classic piece really adds a bit of sparkle to your outfit! 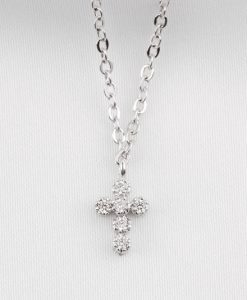 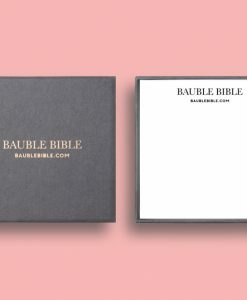 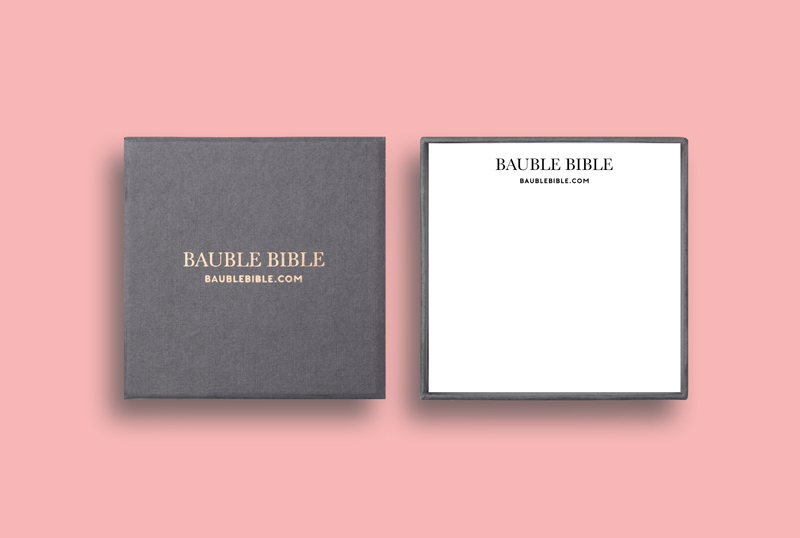 This makes a perfect gift for Christening, Wedding, Engagement, Birthday. 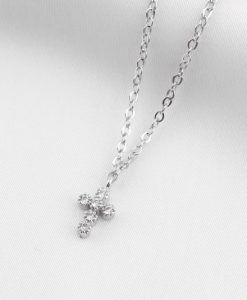 Pendant size is 6×10.5mm. 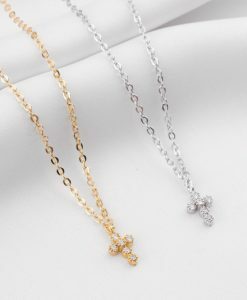 Hung on a 41cm gold plated brass chain.